At Ascot Autoclaves, we believe that offering a full spectrum of services means that we can deliver high levels of customer satisfaction on our equipment, installation, maintenance, testing and certification services. Ascot Autoclaves Ltd have engineers experienced in Autoclave service, Sterilizer service, Washer/Disinfector service , and Flexible Endoscope Washer service work. From Benchtop to walk in sizes of autoclave, from benchtop washers to tunnel washers. We can carry out PPM, breakdown repair and overhauls to customer requirement on a contract or non contract basis. The company is accredited to BS EN ISO 13485 and ISO 9001, independently assessed on our range of activities by a Notified Body. With “off the shelf ” quality systems being of little value, our customers can be assured that Ascot Autoclaves quality system has been assessed by a UKAS accredited Notified Body. Many autoclaves are supplied with steam from local electric steam generators such as the Fulton EFS. There is an increasing trend for remote steam raising plant to be replaced with local steam generation and therefore the population of such plant is set to increase. Ascot Autoclaves have always offered servicing and repair of local electric steam generators, and carry a stock of spare parts for common models. We are able to carry out hydraulic testing, usually in conjunction with the statutory inspection. 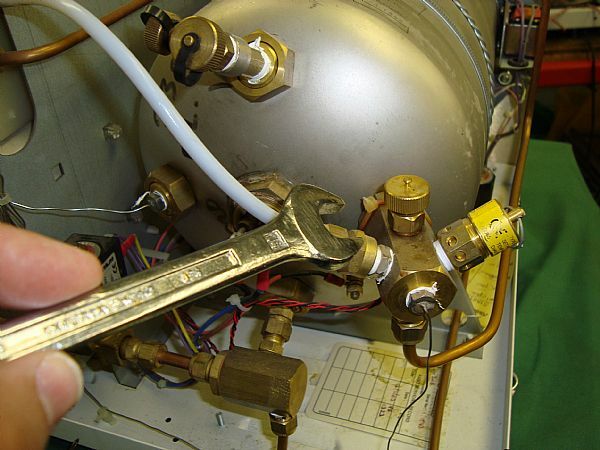 Ascot autoclaves are also able to repair and overhaul steam generators. 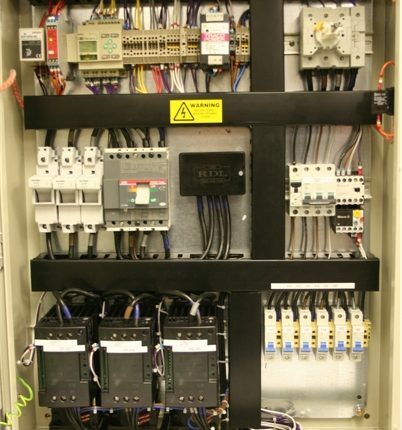 Below is pictured a replacement control panel for a British Sterilizer FS36 model. This panel was designed and built by Ascot Autoclaves to replace an existing poor quality third party designed panel which did not have in built safety features. The replacement panel features microprocessor control and solid state switching for the boiler heaters. Safety protection circuits are built in to prevent boiler overpressure even in the event that a solid state switch fails on. In addition to service and repair of electric steam generators, Ascot Autoclaves are able to undertake the service and repair of steam to steam generators. In addition to formal tenders, Ascot Autoclaves have a long established reptutation for successfully refurbishing and upgrading autoclaves. 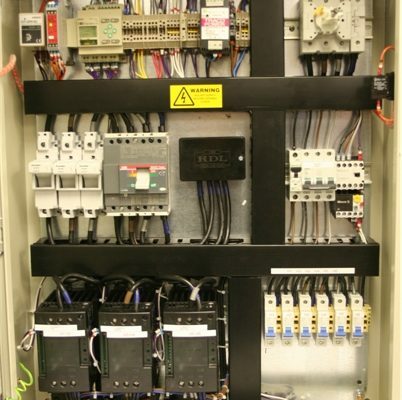 Pictured here are just a few of the control systems that we have replaced over the years. The autoclave to the right is typical of an Ascot “Ground up” refurbishment where this British Sterilizer was completely stripped down, the door mechanism and gearbox overhauled, and the frame repainted in preperation for re-piping and wiring. Experience has proved that an Ascot Autoclaves upgrade can extend the life of an autoclave by 15 years, with the machine lifespan dictated by the pressure vessel condition rather than a failed control system. Each project is treated individually, and the work necessary to ensure that the refurbished / upgraded autoclave will function reliably and consistently is assesed at the quotation stage. It is necessary when carrying out refurbishment and upgrades on autoclaves to conduct risk assessments and ensure that the completed machine meets with the requirements of the machinery directive and other relevant standards and directives. Ascot Autoclaves have carried out refurbishment and upgrades on a variety of different types of autoclaves including BMM Weston, Getinge, British Sterilizer, MDH, SAL, Astell and Sanderson, used in a variety of applications including Sterile Services, Laboratory, Pharmaceutical and Life Sciences. Ascot Autoclaves achieve reliability of their upgrades by utilizing quality components throughout such as Omron Industrial Control equipment and SMC Pneumatics. Ascot Autoclaves have qualified Test Persons to perform thermometric testing and validation of Autoclaves, Washer/Disinfectors, Endoscope Washers, Ultrasonic Cleaners etc. Our Test Persons can also carry out Steam Quality Testing and Water Sampling and we can provide a full range of Laboratory analysis tests. 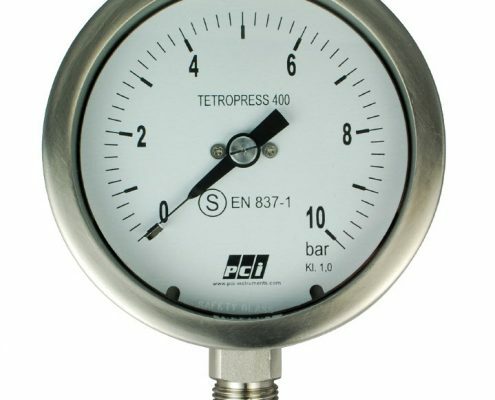 Our temperature and pressure calibration equipment is calibrated to UKAS standards. 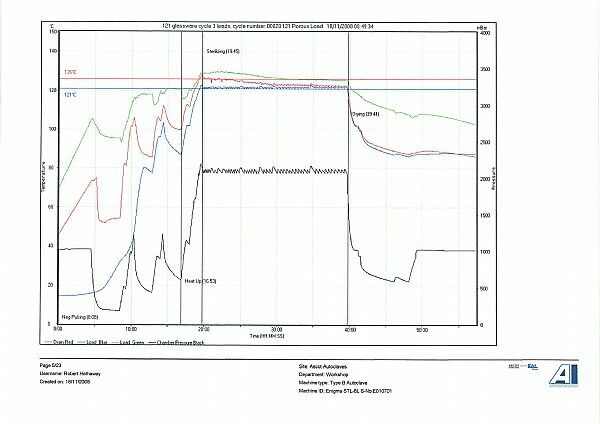 All thermometric testing is conducted using data logging equipment with computer generated reports being issued to the Customer and also archived to our main server. Ascot Autoclaves Ltd are independent of any Authorising Engineer (decontamination), and therefore the HTM requirement of an independent audit is not compromised. Portable Appliance Testing (PAT) is the process of periodically testing electrical appliances. This helps to ensure they are effectively maintained and safe for use within the appropriate environment according to manufacturer specifications. 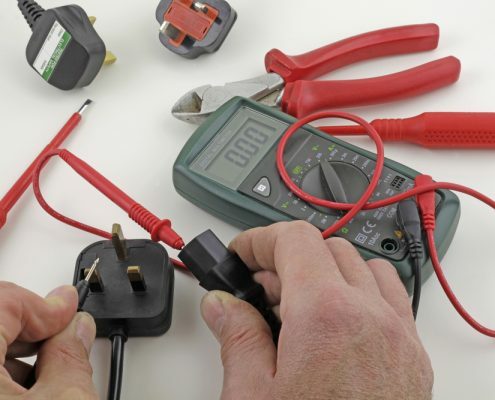 PAT Testing is an essential aspect of every company’s health & safety policy to ensure that staff and members of the public are not harmed by electrical equipment on the premises. The term ‘Pressure Vessel’ is a general term used by Health and Safety to describe compressors, autoclaves and their associated pipe work and safety devices. The safe operation, maintenance and servicing of these units is essential to the efficient running of the practice which in turn will form the basis of compliance to the Pressure Systems Safety Regulations 2000 and the Provision and Use of Work Equipment Regulations (PUWER) 1992. 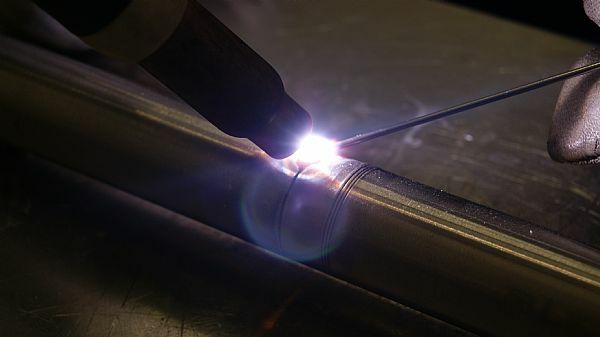 Ascot Autoclaves Ltd have in house welding capability coded to allow repair of autoclave pipework and pressure vessels. We have portable equipment to allow weld repairs to autoclaves on site, followed by hydraulic testing. Our professional engineering team are always ready to help. To book an engineer for a fault or service, simply call the office team on +44(0)118 978 7373 and they will organise a visit at a convenient time for you. Hourly, Half day, and Full day rates, please call our friendly office team on +44(0)118 978 7373. Bookable servicing events at discounted rates are available. If you are a member of a Podiatrist meeting group, Veterinary or Dental group and would like to arrange a day or half day engineer visit to maintain your group’ machines at a discount, please give our office team a call for pricing. 100% of people questioned in a recent independent customer survey are happy with the service provided by the Ascot Autoclaves service team. Can we help you with any of these services?